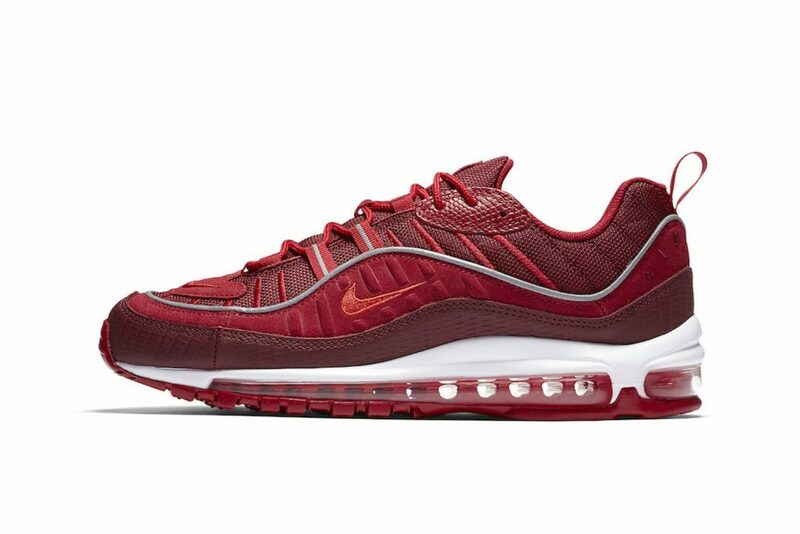 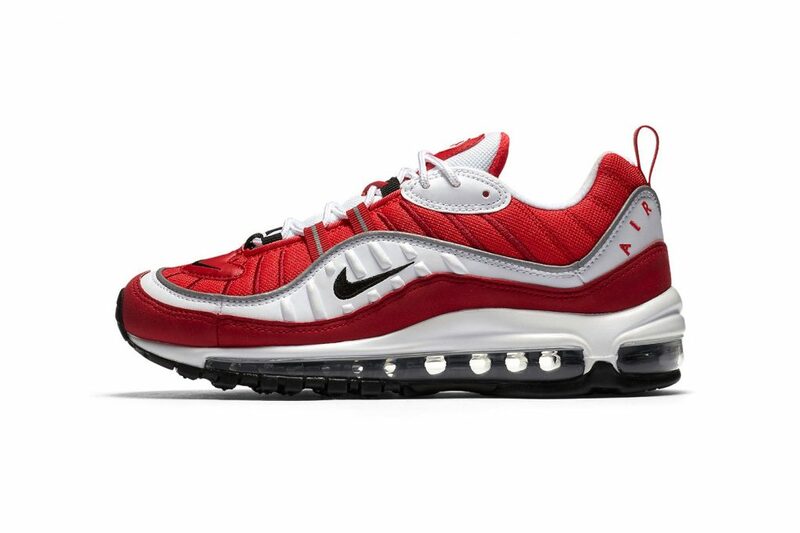 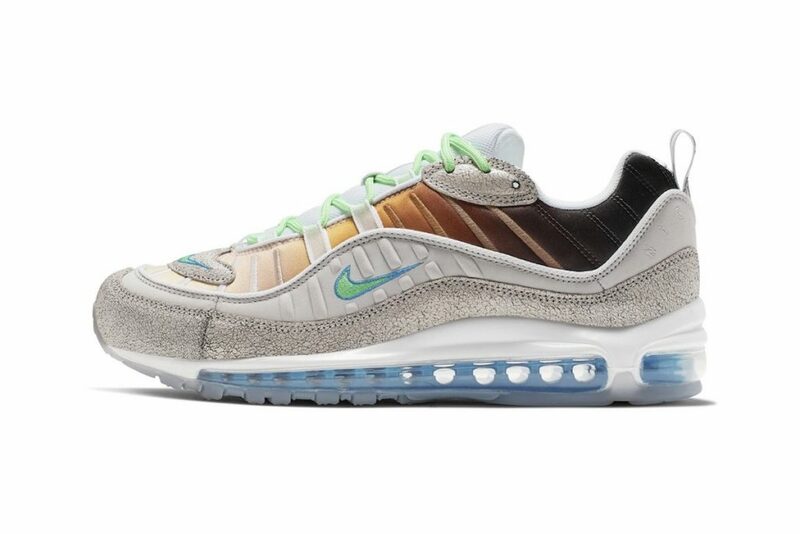 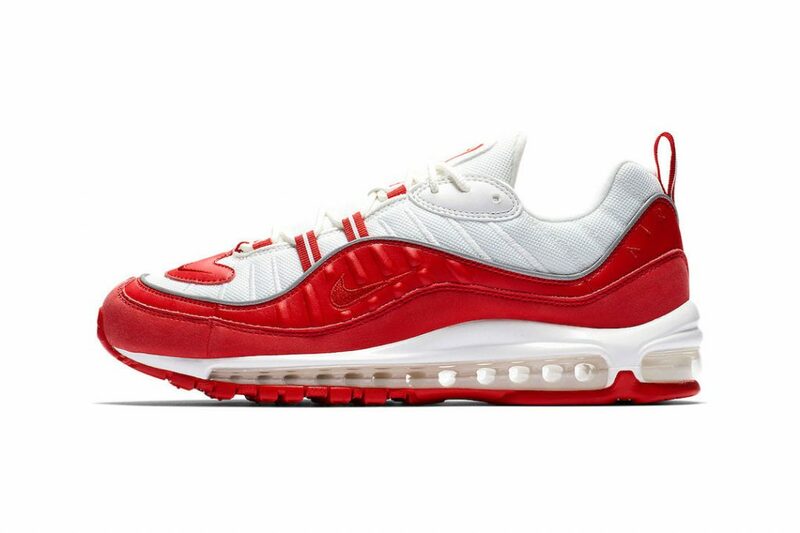 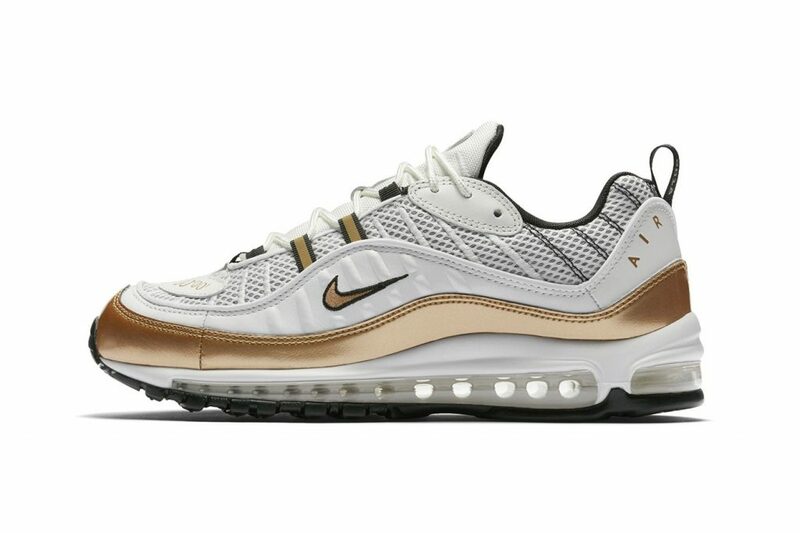 After donning a tonal “Team Red” look, Nike‘s Air Max 98 turns up the dial with a bold “AOP” (All-Over Print) pack that’s sure to turn heads. 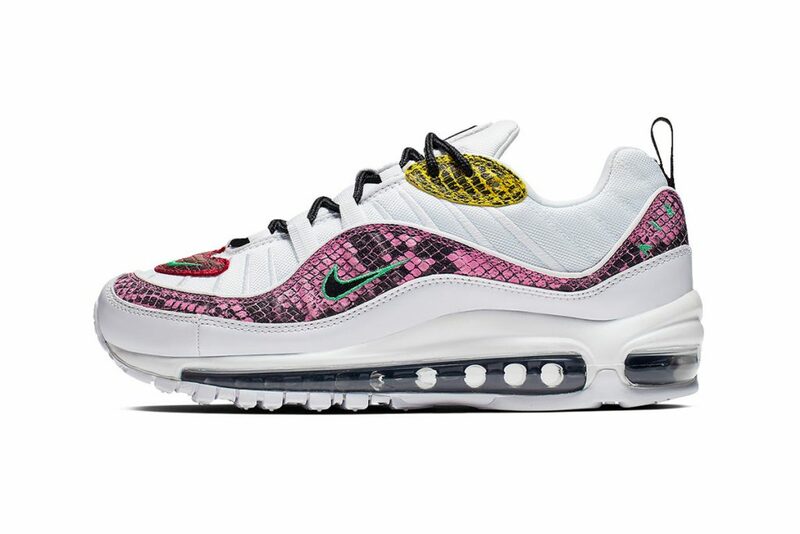 The flashy release includes two colorways of black/white, which debuted in April, and a never-before-seen army green camo version. 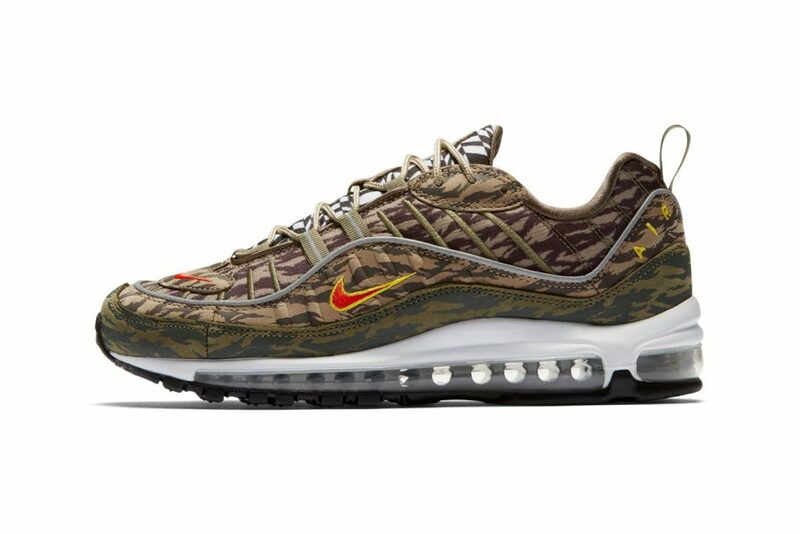 The black and white version features a high-contrast, geometric print across the upper with a solid black mudguard, while the camo pair opts for varying shades of army green throughout the entire upper.